Debbie Rawson (soprano saxophone), Robin Perks (violin), Jacqueline Nordon (double bass), Ross Harris (composer/accordion). 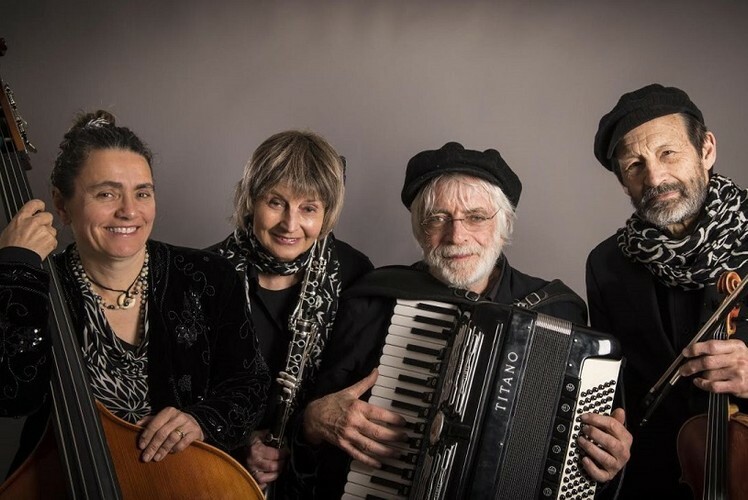 Klezmer is the folk idiom of the Jewish people – the music of dance halls and weddings, The Kugels bring these exciting and evocative songs to the stage, sharing their passion and skill with audiences. From heartfelt laments to wild dances, traditional music is woven together with compositions by NZ Arts Laureate Ross Harris. A wide palette of sound is produced by these versatile musicians, and their concerts are presented with a commentary which is informative, entertaining, and engaging. CMW Subscriber $20, School Student $5. Phone - 06 349 0511 or online www.royaloperahouse.co.nz.